Advanced Tool for Engineering Nonlinear Analysis. 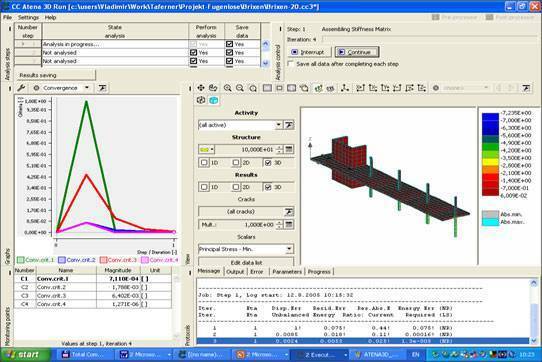 Software for analysis of concrete and reinforced concrete structures. 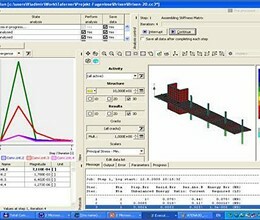 ATENA stands for Advanced Tool for Engineering Nonlinear Analysis. Simulates real behavior of concrete and reinforced concrete structures including concrete cracking, crushing and reinforcement yielding. Gives engineers the power to check and verify their concrete stuctures in a user friendly and unique graphical enviroment. ATENA has over 1000 installations worldwide (Germany, Japan, India, China, USA, Finland, UK, Italy, South Korea, Australia, Thailand… etc. ). * ATENA download link provides demo version of the software. The program will help engineers to design safe masonry buildings in the seismic regions of Europe. The Regime Prescription Tool (HEC-RPT) is designed to facilitate entry, viewing, and documentation of flow recommendations in real-time, public settings. Copan Pro for Android is a hand-held geomatics engineering tool for computing and managing plane land survey coordinates. PileGroup calculates the deformations and loads of pile groups subject to general three-dimensional loadings such as axial and lateral forces and moments applied on the pile caps. PERFORM-3D is a general tool for implementing displacement-based design, analysis and performance assesment for 3-d structures. ATENA has been rated 1.0 out of 5 points. A total of 1 votes cast and 0 users reviewed the software.